Stainless Steel Brakes Corporation is dedicated to bringing you the best braking technology, for as much as 25% shorter stopping distances. Pit Stop USA is The Online Drag Racing Superstore! Stainless Steel Brakes Corporation (SSBC) first pioneered the stainless steel sleeved caliper for classic Corvette and Mustangs back in 1975. 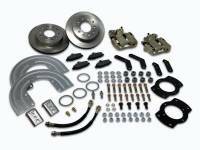 We are the industry standard for high quality brake systems and components, offering a complete line of disc brake conversions and performance brake upgrades for classic muscle cars, late model performance vehicles, street rods and customs, trucks/SUVs and sport compacts. At SSBC, braking is all we do. It's who we are. Our experts are dedicated to bringing you the best braking technology, for as much as 25% shorter stopping distances. We have and will continue to take steps to improve our capabilities. All of our improvements give us design, testing, quality and manufacturing capabilities that very few aftermarket companies can match. We will continue to look at areas and methods to improve, enabling us to consistently provide high quality, high performance braking technologies. Our signature line of Force 10 aluminum calipers was first introduced in the late 1990's. These lightweight calipers greatly reduce unsprung weight, which improves ride quality. Most are available polished and all can be powder coated a variety of colors for added visual appeal. 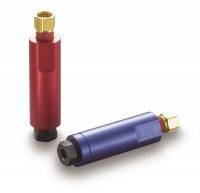 They are available in both front and rear kits, and come in single, 2, 3, 4, 6 and 8-piston configurations. 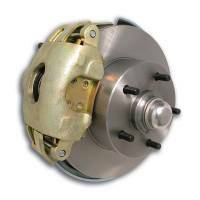 Street Performance USA sells SSBC Performance Brakes products at low everyday prices. 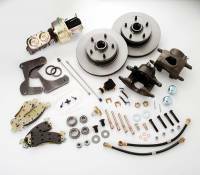 PitStopUSA.com features SSBC Performance Brakes products at low everyday prices.